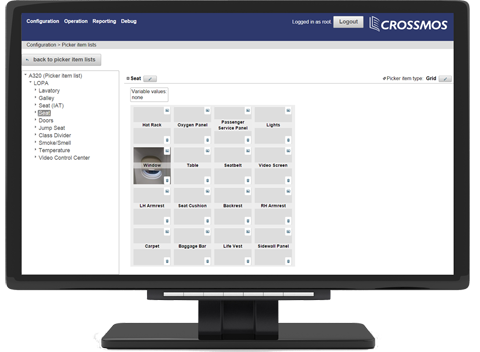 CROSSMOS is an ELB (electronic logbook) and ETL (electronic technical logbook) developed with state-of-the-art methods and technologies. Aiming to become THE standard ELB (or ETL) solution. 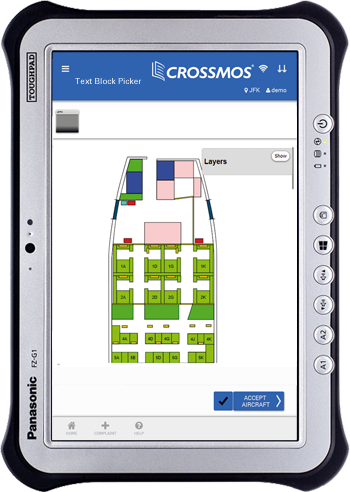 CROSSMOS ELB is an electronic techlog that works with AMOS and gladly interfaces with A/C systems, electronic Flight Bags (EFB), ACARS printers and everything else. It operates on different devices e.g. on Microsoft Surface™ Tablets and Panasonic Toughpads as well as on all other Microsoft Windows-driven devices. 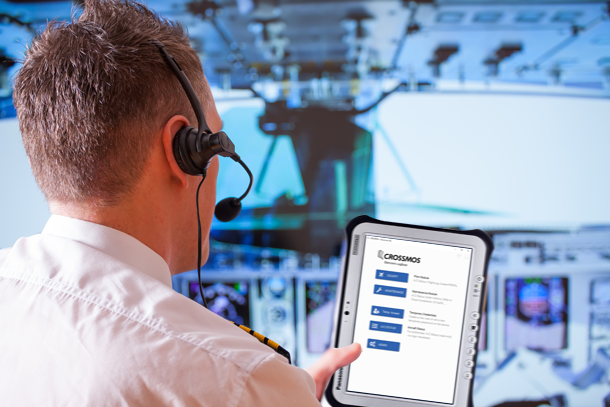 CROSSMOS electronic technical logbook is able to synchronize work steps with AMOS (Version 10.70+). maintenance client with different options for everybody in the fleet. 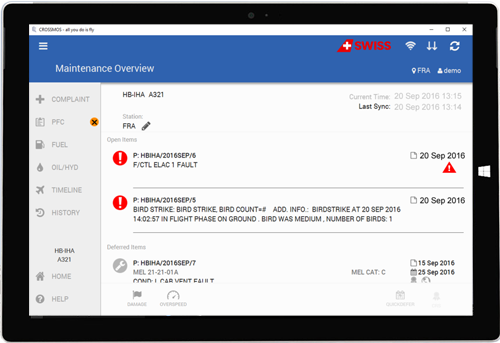 As a further step forward into the paperless future, SWISS International Air Lines went LIVE with CROSSMOS. 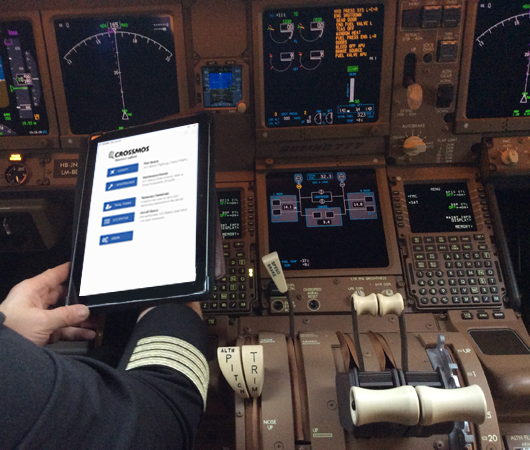 An improved and faster communication between cabin and cockpit devices will simplify the overview and status of aircraft. If you want to know more about SWISS’ Go Live, follow this link.